We thought they were headed for a reconciliation, but we were wrong! 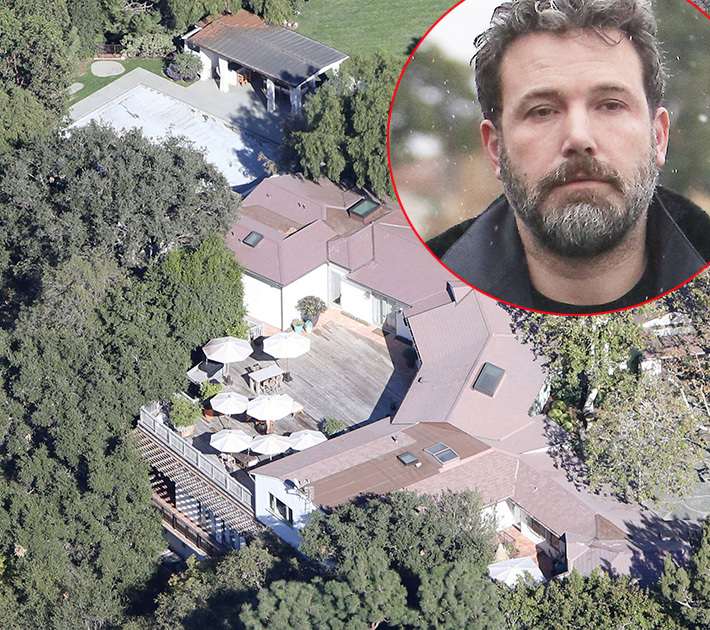 Ben Affleck has moved out of the Pacific Palisades mansion he shared with estranged wife Jennifer Garner and the kids, Us Weekly reports. The mag claims the actress plans to finally file for divorce, nearly two years after they announced their separation. The couple announced they were ending their ten year marriage in June 2015, but since then have spent a significant amount of time together with the kids, leading some to believe they'd made the decision to work through their issues. There have been all types of rumors about their living situation. Some outlets reported that the Batman star moved in next door to be close to the family, others claimed he was living in the guest house, and a report in October said that he was living separately, but decided to move back in. We don't know where the A-lister is resting his head currently, but we doubt he will venture out of the neighborhood. After all, the pair are committed to co-parenting their children. Their split came as a shock to many, but apparently they'd been at odds and in couple's therapy "for years" before making the heartbreaking decision to go their separate ways. "They were going to divorce when Sam was born, but you know how it is — baby comes and solves the issues for a bit, but it's just a Band-Aid. It hasn't been working for ages. Ben truly wanted his idea of family life and the idea of family he had growing up in Boston, so he stayed in it longer than he wanted to because of the kids and the idea of family. But he couldn't save it," a source told the mag at the time. The pair met on the set of Pearl Harbor in 2001, fell in love while starring in 2003's Daredevil, and married in 2005. They are parents to children Violet, 11, Seraphina, 8, and Samuel, 4. What a sad development! We thought they had a chance!